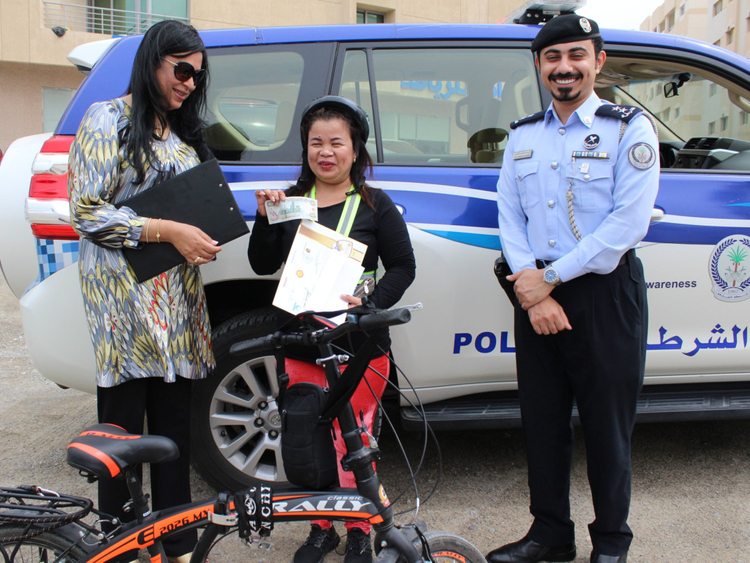 Sharjah: Jenilyn Sta Juana took to cycling just last year but she has fallen in love with it so much that she rides her way to work and back daily in full gear, earning her the Responsible Road Users Award on Wednesday in Sharjah. The 49-year-old rides around 40 minutes daily on her way to work and back, planning to continue the practice even in summer, as much as she can. “I started in October and I really fell in love with the experience. It helps me stay, it is eco-friendly and it also helps my pocket. I will try to continue to through the summer, as much as I can. It is getting hotter already but I think it’s worth the effort,” said Juana, who works as a nail artist at a salon in Sharjah. She said she was initially alarmed to find a police vehicle following her, but the alarm soon turned into a pleasant surprise. “I never thought something like this could lead to an award, I thought I was doing something basic in terms of safety. But it is nice to be appreciated, people might think I am crazy, but this recognition will only strengthen my resolve to continue what I am doing,” said the Filipina, who rides in full protective gear, including a helmet, a fluorescent vest and other protective items. 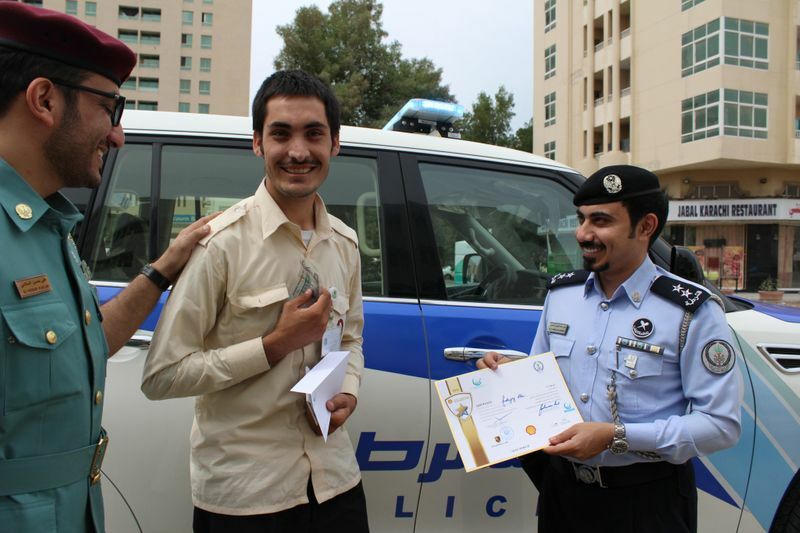 Among the 10 who won the Shell Goldstar Contest on the last day of the three day campaign was a young taxi driver Radayaz Khan. The 23-year-old expat arrived in the UAE only last July and has been driving a taxi for just three months, and this by no means a bad beginning. “I am pretty excited. This means a lot for me, getting this recognition just when I am starting my career will go a long way in reinforcing my belief in safe driving,” said the Pakistani expat. He added that the award will also help a bit to correct the image about taxi drivers. “Everyone thinks taxi drivers are not safe drivers, but I make sure to drive with discipline. People should understand that taxi drivers are driving to make ends meet and they are always under pressure to find their next customer. Some drivers might be driving in a wrong way but most of us follow the rules,” said Khan. Organised by Ciel Marketing and Events in collaboration with Shell, the Roads and Transport Authority (RTA) in Dubai and Sharjah Police, the road safety campaign rewards cash prizes of Dh1,000 each to drivers, pedestrians and cyclists for following road safety practices. Drivers are selected for following a variety of road safety practices, such as using seat belts, staying off the phone while driving, lane discipline, using child safety seats, using indicators and observing speed limits. For others, it could be the use of designated pedestrian crossings and road traffic safety practices to reduce risk associated with cycling.